Introducing My New Book . . . I am bursting to share with you exciting news that my book is now on sale! I’ve spent 32 years studying, researching and applying the most ancient and cutting edge secrets of health and happiness, and I have put this all together in my book that I have been writing for the past 6 years, and that is finally being released. 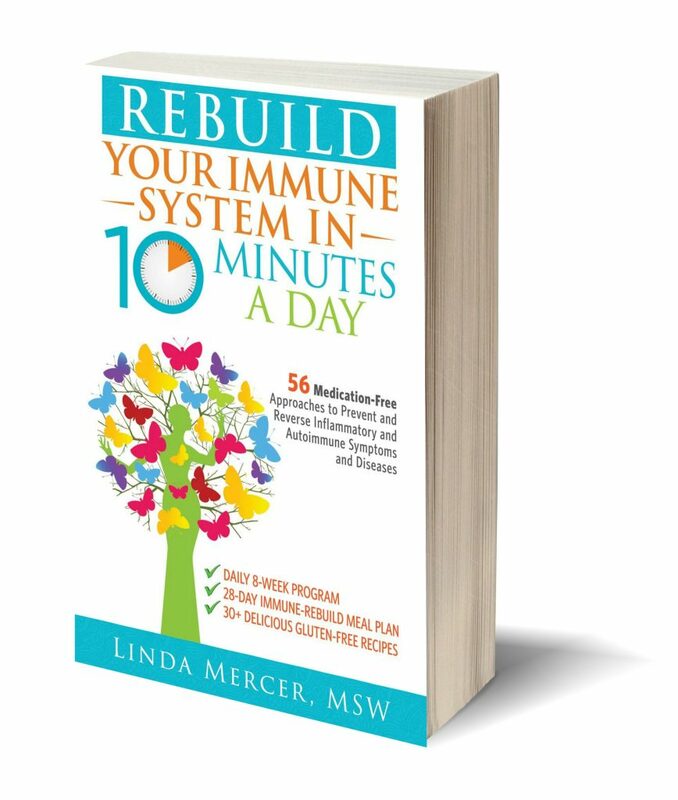 The name of my book is Rebuild Your Immune System in 10 Minutes a Day. About The Book - What's Inside? • How to use the Power of Your Mind to reverse autoimmunity. • How to reduce and manage your stress. • How to take better care of yourself and get more “me” time. • How to build healthy relationships (including the one with yourself). • How to connect with your spiritual self. PLUS: Meal Plans and 30+ gluten-free recipes to help you eat healthier. Inspiring success stories from my clients, blended with vignettes of my own healing journey, help you see the possibilities you can achieve in just minutes a day.